As you’ve probably heard, Russia is a country filled with women who are both beautiful and slender. However, with meeting a new Russian women, you’ve got to learn that they offer a different language than most Westerners. Usually, the English language and the Russian language have barriers. But, did you know that body language is another language that most Westerners have almost nothing in common with? Well, Russian women and body language go side by side and you’ll notice this when you go visit Russia. So, what can you do? Well, it’s honestly not a very horrible or terrible offense to not know their body language at first, but we want to help you know. Because even if you don’t understand what each other is saying, you’ll have better knowledge in understanding through what the body says. If you’re looking for a sign of reassurance, and even approval, here are the gestures that are great to know! You know how in some countries hand gestures mean a different thing? For instance, the thumbs-up generally means “good” or “yeah” or “okay.” Well in some countries, like parts of the Middle East, that isn’t the case. It’s actually frowned upon if someone receives a thumbs-up. Even the more popular hand gesture of a “V”, more commonly known as the peace sign, can be seen as offensive in some countries. So, to help you remove the possibility of offending Russian women on your visit, some of these gestures should help you out. 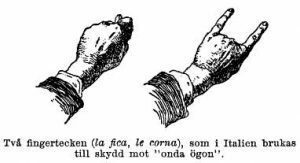 The image on the left is the “fig” hand gesture. In Russia, it’s called “figa” or “shish.” As you can see by the photo, this is a hand signal is done by putting your thumb in between the middle and index fingers. This is while the hand is closed to make a fist. Although it isn’t a cardinal sin to do this, it actually means a swear word in Russia. This is most often done by children who are in an argument with either their parents or a friend. It’s considered rude to use this hand signal even if it may now be considered childish. But, in any sense, you wouldn’t want to come across as childish or even accidentally perform a swear word whilst in the middle of a conversation with your Russian woman. Therefore, if you’re tempted to exhibit this sign for whatever reason you may have, you may not be taken too seriously. This is one thing you should take note when meeting a Russian women and their family. Even before you meet with your Russian woman, take a look at your surroundings and see how close people are to each other. They don’t stand too far away (like an arm’s length for most of us.) So, don’t stand too far away as Russians tend to stand closer to each other especially while conversing with someone. This is of course in comparison to Western countries. Although it doesn’t mean that you should be swapping salivas or close to kissing, there’s a polite distance to be at when having a conversation with someone. For example, as mentioned earlier, most people enjoy having an intimate conversation at an arm’s length away. However, in Russia, you may consider cutting that in half. If you look at photos of Putin compared to Obama, you’ll see the huge difference in personal space. And to think, these are politicians! 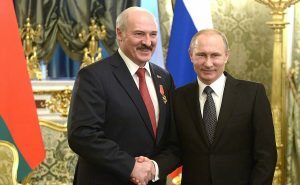 Vladimir Putin (right), president of Russia, and Alexander Lukashenko (left), president of Belarus. 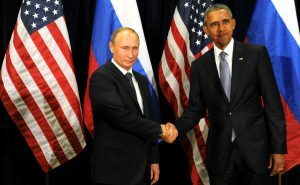 Vladimir Putin (left), president of Russia, and Barack Obama (right), president of the United States of America. By standing closer, you’re offering your friendship and you’re appearing personable as well. If you don’t do this, you may come off as uninterested, and even cold. Some guys are the type of guys that walk around with their hands in their pockets. Sometimes there’s even a slouch accompanied by this, which can either mean you’re down on life or ready to rob someone at any given time. Well, that is most probably prominent in places with a high crime rate like New York. But, in Russia, you’ve got a whole different meaning. When you walk around with your hands in your pockets, you’ll be considered sloppy. This is especially seen like this in business and dating settings. So, keep your hands where they can be seen. If you guessed that you shouldn’t slouch, then you’re on the right track. Slouching is a sign of rudeness and incompetence. These are two things you don’t want to be seen as right? In the Russian setting, it’s seen also that the man is uninterested or doesn’t care. Therefore, you should really straighten your shoulders for you to be taken seriously by anyone. Although it’s true for every country, it’s seen as something culturally important to Russians, as it’s a predominantly patriarchal country. If you need tips on how “tall and confident” Russian men stand, well just look at pictures of their president, Vladimir Putin. As with any date, you shouldn’t look like a slob. You’re going to need to put in effort to look “perfect.” Although it may seem like a joke, you’ll see that most Russians going on dates wherein the men are dressed in smart casual or formal. There’s no in between. They always make sure that their hair is fixed and dressed appropriately. Russian women always worry about how they look for their men, so it’s just rightfully so that men also do beyond at their end of the bargain. So, clean and neat clothes and something fit for the occasion. Don’t look unkempt or disheveled. This may lose some “respect points” from your date’s end quickly. Last, but not least, is manners. Well, this has already been said before, but most importantly, don’t put your shoes on the seats. I’ve got this habit where if I’m comfortable, I put my feet up on a chair in a restaurant. I don’t do it on a date of course, but once I did this, and I got in a bit of trouble saying that it was rude. In Russia, make sure to keep your feet off the seats (everywhere!). Although these may all seem as a shock to you, these are some things you should really work on before heading to Russia to meet your woman. Plus, if this will be the first time you’ll be visiting Russia, it’s best that you already know some of their etiquettes, so you won’t be confused at the fact someone is shouting at you for having your feet up on a chair!